With the power of saving out of their wages, the habit [of saving] has arisen. The whiskey-shop has been abandoned, and several among those who were first employed, have laid by sufficient money to enable them to emigrate to the United States and to Canada, where they have constituted themselves proprietors, and have before them the certainty of future comfort and independence. Those who suggested more recently that restoration would provide employment in local pubs and eateries obviously hadn’t learned from experience. 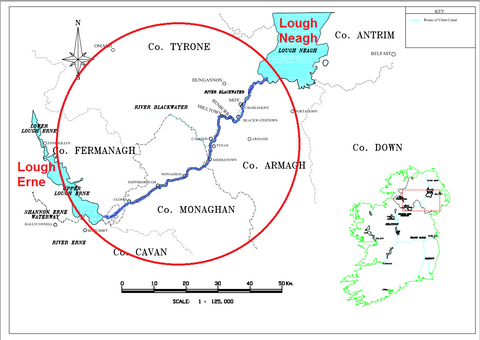 I presume that, to this day, the inhabitants of Monaghan and Fermanagh still won’t touch a drop of whiskey. Phil Flanagan: Is the [North South Ministerial] Council aware of the stark financial difficulties facing Waterways Ireland as a result of not only sustained budget cuts but the currency fluctuation because of the weakened euro? Let me point out some of the figures: compared with 2013, the 2014 budget was down by €290,000; and, in 2015, it was down by €875,000, solely because of the weak euro. Was that matter discussed? What potential solutions may ensure that Waterways Ireland is returned to a sustainable financial footing? I had not realised the extent of the problems caused by the euro. The fluctuation of the euro was not discussed at the meeting. Obviously, it does represent a serious challenge, given the fact that the euro has been very weak over recent times. I note that it has strengthened over recent days. Certainly, on foot of the Member highlighting this, we can give it further consideration. It is important to point out that the work of Waterways Ireland is nearing completion, including the dredging of the River Finn between Upper Lough Erne — that will be of interest to the Member — and Castle Saunderson as part of phase 1 of the restoration of the Ulster canal. Design plans for the new bridge at Derrykerrib are also at an advanced stage. I understand that there are some contractual issues with the site that, combined with high water levels, have led to delays. However, Waterways Ireland is working with local councils and other interested parties to secure EU funding under the INTERREG sustainable transport programme. The proposed greenway would run from Smithborough village to the Monaghan town greenway and on to Armagh. The point that the Member raised is important and will be considered by the Council. 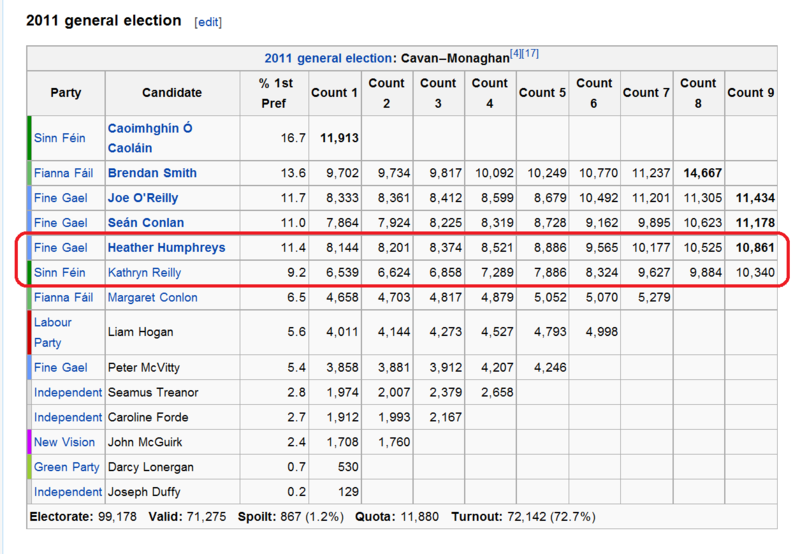 Given that that was irrelevant to the question, I presume that Mr McG wanted to get this information on the record. I would like to know more about the “contractual issues with the site”. I do hope they won’t mean that we miss getting photos of the northern and southern ministers, wearing yellow hard hats and lifejackets, claiming credit for the work. After all, there is an election coming up. The Council approved the determination made by Waterways Ireland regarding legacy scale linkages for northern based staff. I knew you’d want to know about that. Whatever it means. On 17 November 2015 the latest attempt to get the boys and girls of the Northern Ireland Assembly to be nice to other reached some sort of conclusion, which you can read about in the Irish Times (until it disappears behind a paywall) and the Manchester Guardian. But of course the important question is whether we southron loons have to buy sweeties (sheugher candies) for our northern brethren to persuade them to be polite. For that, gentle reader, you must turn to the inspiringly-titled A fresh start — the Stormont Agreement and implementation plan, available here [PDF]. You will not, of course, want to bother reading most of it, so we can skip straight to Section E Irish Government Financial Support on page 30. New readers may wish to know that, many NI disagreements ago, the Irish government, led at the time by a group of leprechauns who believed they possessed a pot of gold, resolved to impress the poor benighted northerners with a display of southern wealth and power. Accordingly, it promised to pay for all sorts of transport infrastructure, provided that it could be claimed to have some sort of cross-borderality and preferably looked iconic. Whether there was any point to any of the schemes was a matter omitted from consideration. the Clones Sheugh, a short section of the Ulster Canal. Unfortunately the hardheaded northerners have long memories and they keep looking for their three sweeties long after the Free State realised that it couldn’t afford them. So has this latest throwing of their toys out of the pram forced the Free Staters to give in and buy them the A5, the iconic bridge and the Clones Sheugh? The Irish government says it’s all in favour of, er, “investing” in infrastructure “to support North-South co-operation to help unlock the full potential of the island economy”, where no doubt eighteenth century transport methods will prove to as important as they were in the time of Grattan’s Parliament. But with that, and all the other waffle and irrelevancies shoved in at the start of the section, it is clear that the Irish government is trying to big up a small contribution. It drags in the European Union, the Dublin to Belfast railway, flood relief, energy, communications and health, which have nothing to do with the case, but which between them fill almost the whole of the first page. the Free State government does not say that it “remains supportive of the commitment under the St Andrews Agreement” to fund the Clones Sheugh. Nor does it say that it “remains committed to the concept”. What it does say about the sheugh is that it is funding Saunderson’s Sheugh (see above), it will think about more cross-border greenways and blueways including the Ulster Canal and it and the NI Exec will identify “options for jointly developing future phases of the Ulster Canal restoration project”, which I take to mean that the southron taxpayer won’t be stuck with the entire bill. Oh, and it’s going to think about funding a bleeding sail training vessel, another exercise in pointlessness and nitwittery. That’s almost it: there is something about a north-west thingie, senior officials will meet and there will be progress reports. 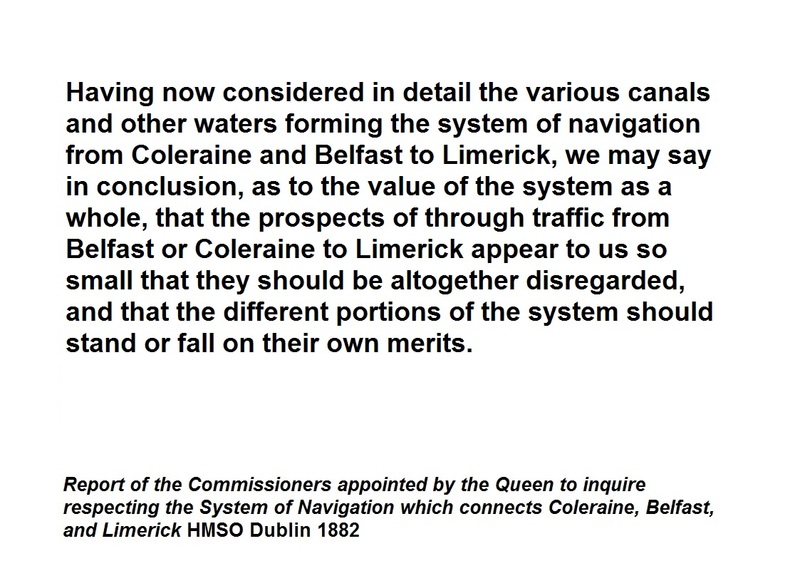 These documents are not necessarily constructed to provide information to outsiders, but my sense is that the Clones Sheugh danger to the southron taxpayer has receded for the moment, although the Narrow Water Bridge and the sail-training nitwittwery need to be blown out of the water (or into it). The A5 road is to go ahead: I don’t know much about it but it might be the least objectionable of the lot. … as distinct from ministerial reelection photo opportunities. 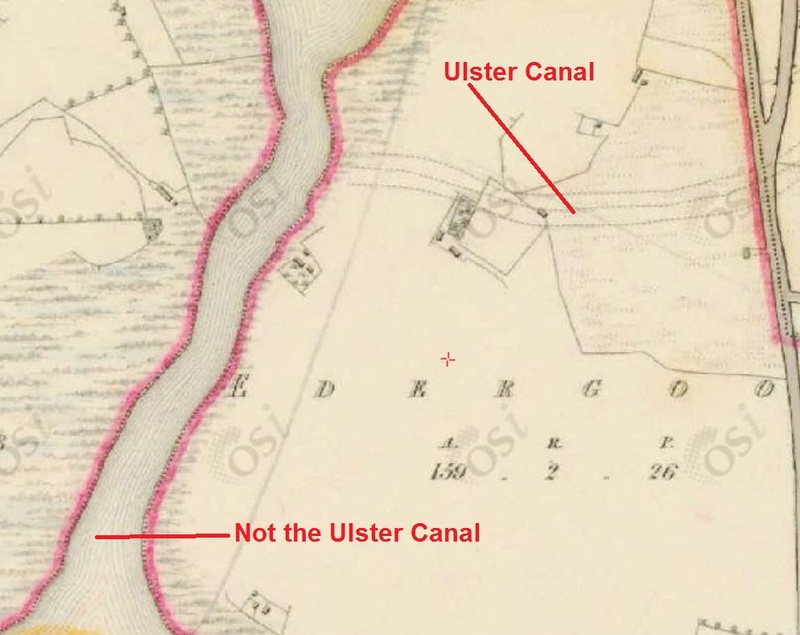 Anyway, for folk who are interested in weightier matters than ministers talking through portions of their anatomies that they can’t distinguish from their elbows, here is some speculation about opening bridges on the Ulster Canal. That’s the Ulster Canal Ulster Canal, not the Saunderson’s Sheugh “Ulster Canal”, by the way.